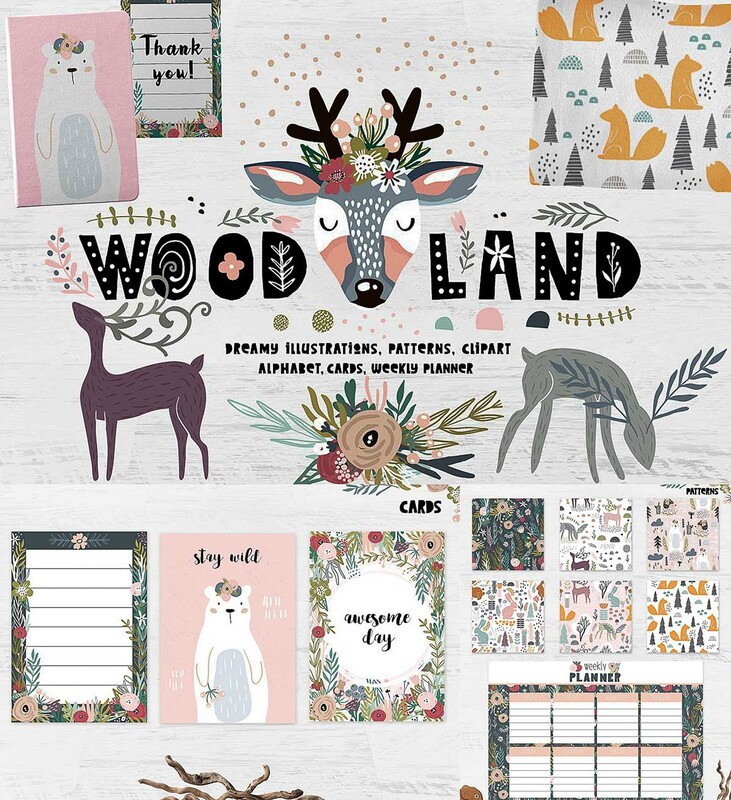 Adorable woodland creator include fancy animals ( deers,bunny, bears, hedgehog, squirrel ), patterns, decorative alphabet, premade cards, prints, weekly planner template.Stylish seamless patterns set in modern scandinavian style looks great on fabric, textile, wrapping paper. 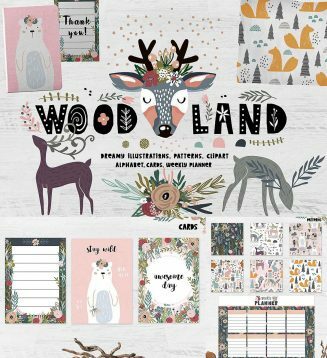 You will have endless posibilities to combinate patterns with prints and creative alphabet for apparel, nursery design, branding, product packaging. Tags: bunny, clipart, dear, kids, kids design, nursery, planner, print, scandinavian, scrapbooking, seamless pattern, week.